At one point in time, entrepreneurs would develop some recipes they liked and build a restaurant company around them. But this is 2018. In the ultra-competitive world of restaurants, it’s not enough to simply sell prepared food to consumers. Operators have to stand for something. 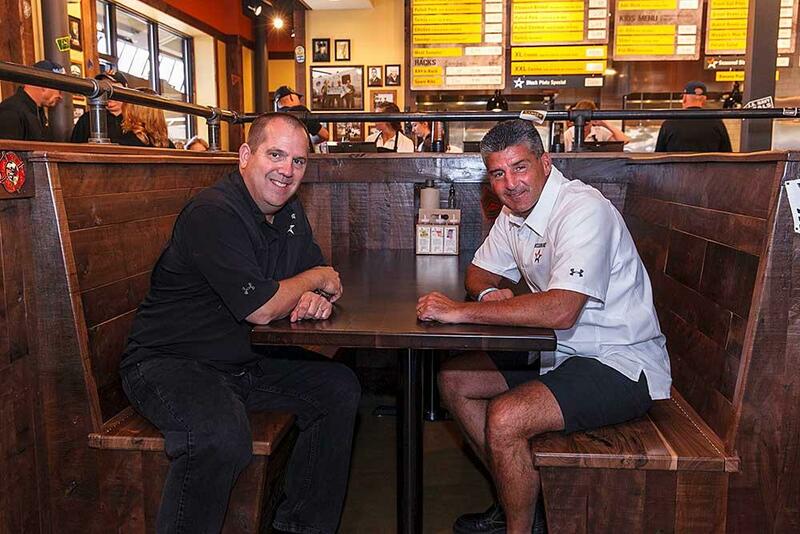 Nine years ago, friends Bill Kraus and Steve Newton came up with their “mission”—to honor America’s military, police officers, firefighters and first responders—and then developed a menu to carry out that plan through a fast-casual concept, Mission BBQ. There’s little doubt about the results. In the years since it was started in a Baltimore suburb on the 10th anniversary of the Sept. 11 terror attacks, Mission BBQ has become one of the fastest-growing restaurant chains you likely don’t know much about. Mission’s system sales grew 61% in 2017, according to Technomic’s Top 500 Chain Restaurant Report. Unit count grew by a third. Beyond systemwide numbers, its restaurants get strong ratings on Yelp. The fast-casual chain, which expects to finish 2018 with 80 locations in 16 states, gives a “significant portion” of its profits back to the community, through military nonprofits and charities for police and firefighters. “We’re not afraid to step up and write a check,” Kraus says. The walls of Mission’s restaurants are adorned with patches, pictures and other memorabilia donated by the local community. In addition, the two felt there was a lot of potential in a barbecue chain. “The barbecue space reminded me of what I saw when I first got started with Outback Steakhouse,” Newton says. “Steakhouses were independent and kind of regional.” Outback helped change that. There are some large barbecue players, Newton acknowledges, but local and regional players are dominant. “There’s a little bit of ocean, a little bit of blue sky,” Newton says.